As the sky edges closer to its brighter summertime, the sign of Taurus comes to prominence. 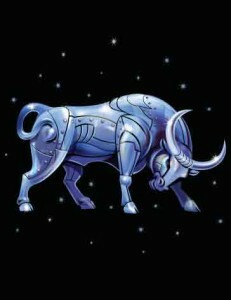 The great bull, as this sign is known, imparts its influence on those that are born while it is shining away prominently. Moreso than other signs, what we know about the influence of Taurus is a little bit more concrete. The qualities that the people born under it receive are nevertheless both as positive and negative as any other sign in the pantheon. One aspect of this sign which is often cherished is an appreciation for and a connection with nature. It is actually quite common across those born under Taurus, and it speaks of the earthy connection that the sign animal, the bull, represents. This is an aspect of the sign that is well recognised and respected. Looking beyond myself, I find that people of a Taurean persuasion are often some of the more grounded people around. They consider, they are sensible, and they try hard to make the best decisions they possibly can. There’s no real issue with people born under Taurus being unable to connect to their basic needs. Often a Taurean are chefs, artists, designers, or educators – fulfilling a need to pass on their understanding of the world to others. Taureans are more than often patient. They are often committed to being the best version of themselves, but they put their time togood use. This is a good reflection of how Taurus is very much an Earth sign, as these people are anchored to reality, and realize the importance of embarking upon the right path. The constellation itself is an ancient one. 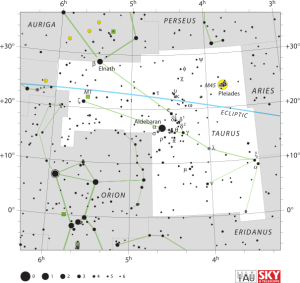 Taurus sits in the northern sky, with two prominent stars in particular standing out – Aldebaran and Elnath. These make identifying this sign relatively easy, and especially simple on clear Winter nights outside cities. Collective: We refer to those people at are born under this sign of the Zodiac as Taureans. A Positive Aspect: Those who were born under the sign of Taurus are often found to be committed individuals. They take on tasks and they make sure to finish them. There is a level-headed nature to this sign that many people will be able to relate to. This makes them reliable people in general. Do you have a friend who is especially solid? Someone you know you can trust? They may well be a Taurean, or at least possess the good qualities of one. This is something that can really stand to Taureans. Some might say it’s unspectacular, but those people probably belong to most unstable star signs. This is a real benefit to the Taurean’s life. A Negative Aspect: Given the extended level of consideration that Taureans often give things, it can be hard for them to accept failure. Like their sign, they can be accused of being stubborn in how they operate. Convincing them otherwise can be a little difficult. In many respects, belief in their way of acting is strength, but it can easily be pushed beyond that, into a mistake. Learning to turn to a new path and accepting brand new modes of thinking can often be a little difficult for Taureans. It is part of the ying and yang qualities of the earthy sign. Famous Taureans: Queen Elizabeth II, James Brown, Tina Fey, Sigmund Freud, Audrey Hepburn. Is Taurus your sign? 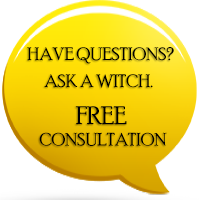 Do you feel you need help understanding and getting the best of your horoscope? If so, I can help you. I enjoy reading regular and love Scopes even Moore I want to look at learn charcrus ( spelled wrong. 38 yrs ago I mind traveled interested. Yet I'm really interested in n learning not b just they're names but utterly how to open b clean and Close them I want tov learn itm my hypothesis. I want to radiate positive n energy clean make my body relaxed and cleansed without medication. I've always was amazed yet befuddled on oreas I know sombre people can see b them My judgemen is So bad I sure need.it. but n the desire I have with learning them I'd be an astute pop-up pupil. Do you b have any advise of n books anythin me advance and become n astute in these two things.......please you have my b name and email. Thank you So much any advise would be appreciated.